For my other shirts click here! The idea for this shirt came about soon after the deaths of two Fire Fighters from Station 26 B Shift. 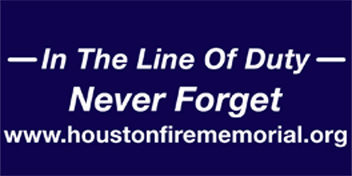 Captain James Harlow and Fire Fighter Damion Hobbs died while operating at a house fire in the early morning hours of Easter Sunday April 12th 2009. I wanted to design a shirt that would honor these brave Fire Fighter's memories and at the same time give their family members some comfort when they wore this shirt. With the help of my friends Tommy and Terry and graphic artist/Fire Fighter Steve Garza-Station 28C I was able to complete this task. Once the shirt went to the BEAED in Alvin ( my vendor for all of my memorial shirts) their Art Department was able to put in the final touches to the art work and the shirt was born. Jennifer Edwards is my contact person at BeAed, who I met after Damion Hobbs' funeral. 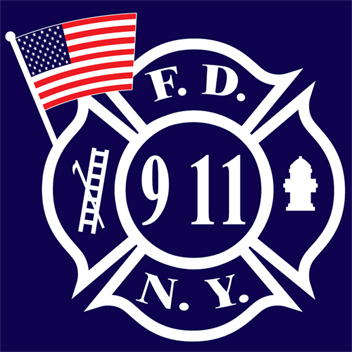 I was taking orders for my Memorial Shirt with the two new Fire Fighters added, and had made mention that I was in between t-shirt vendors, Jennifer heard me and said she could handle that problem. We talked the next day and worked out a deal and her company has been handling my shirts orders since. The nice thing about Jen is her family lived across the street from Damion and his family. Her family is still friends with the Hobbs family. I then took orders from the two families, Station 26 B, my friends and family. A total of 110 shirts were ordered. Once this task was done I had planned on turning everything over to the Crew of Captain Harlow and Damion Hobbs. With this first edition finished and out in public, I have been getting I have been getting request for the shirts from those who were not on the first edition list..
Now here is the deal. 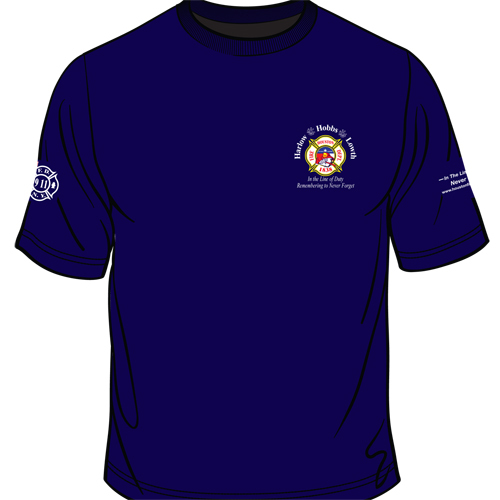 Station 26 is busy selling a different Harlow/Hobbs Memorial Shirt to finance their trip in September to Colorado Springs when our two Fire Fighters will be honored at the Annual Fire Fighters Memorial held in September each year. 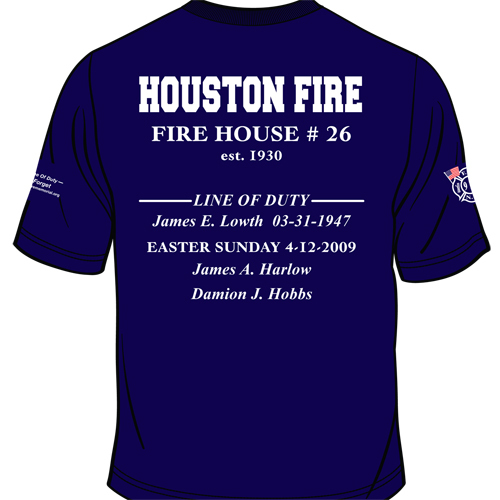 Since my goal is to get these Station 26 Memorial Shirts (contains the name of the other Station 26 Fire Fighter who died In The Line Of Duty) on the back of as many people as possible, I will continue to take orders for the shirts. The shirt, because of the logos on both sleeves and a added color used to duplicate Station 26's logo, cost almost 12 dollars each to produce. These shirts are Navy, pre shrunk, 100 per cent cotton and the same dependable brand I have been using for the past 5 years for my other memorial shirts..
Just so you know the funds (profits) from the T-shirts that I sell are kept separate and goes to good causes-and I will give you one example and if you want to know more you can email me. The daughter of one of our line of duty fire fighters is in college. I send her "spending money" twice a year.